Did you know that aging causes a gradual loss of collagen in the skin? Collagen is responsible for making the skin appear tight, smooth, and full – all signs associated with youth. Since microdermabrasion treatments promote new collagen production, the skin takes on a more youthful appearance with each treatment. Since microdermabrasion is non-invasive, it is a safe and effective treatment for people with many different skin types and treatment goals. From age spots and hyperpigmentation to large pores and acne, this treatment is beneficial for multiple skin conditions. However, some individuals may not be candidates for microdermabrasion. Examples include people with newly waxed skin and individuals with certain health conditions affecting the skin. For more information about microdermabrasion and whether it could be right for you, contact our office to schedule a consultation. Professional microdermabrasion is performed using a diamond-tipped wand that gently ‘sands’ the skin. During each session, the wand buffs away the uneven outer layer of the skin, producing a mild vibration and a scratching sensation. The procedure causes little or no discomfort and is one of the most popular facial treatments performed by our esthetician. You will be able to return to your usual activities immediately after your treatment session. 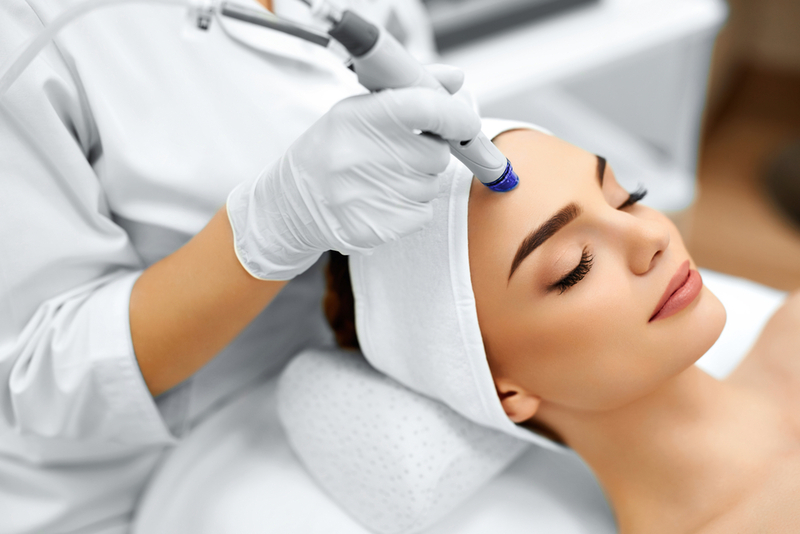 There is no downtime associated with microdermabrasion, though it is normal to experience some redness or swelling in the hours immediately following treatment. Initially, several microdermabrasion treatment sessions are performed a few weeks apart, followed by an ongoing maintenance plan to preserve treatment results.